I read about Seeri Authentic Thai Restaurant from KY’s blog a few months back, and told myself I’d check the place out when I’m around the area. I forgot about it, but rif didn’t. “Remember you said you wanted to check out that Thai place KY blogged about in SS2?” he said. I couldn’t recall where the place was, so like blind bats, we drove around SS2looking for it. 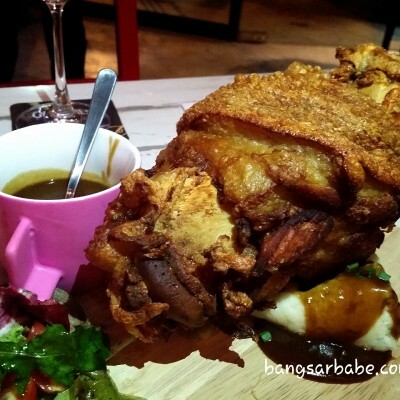 It was in Chow Yang, along the same row of shoplots as Kayu Nasi Kandar. On a Sunday afternoon, the place was empty. We hesitated for a bit as empty restaurants put us off. Still, I walked in, sat down, looked at the menu and ordered the seafood tom yam, green curry pork and Thai style fried kangkung. 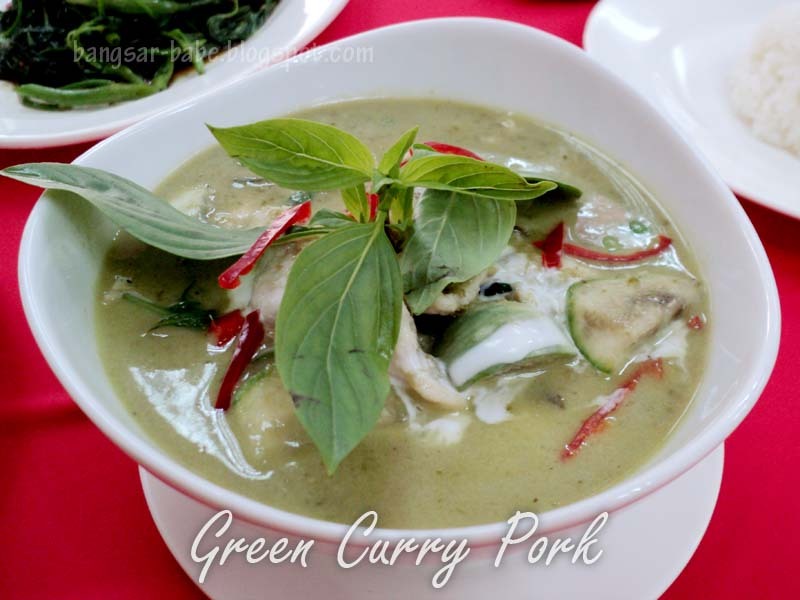 Green curry pork was not on the menu, but they told me I could have pork if I wanted. 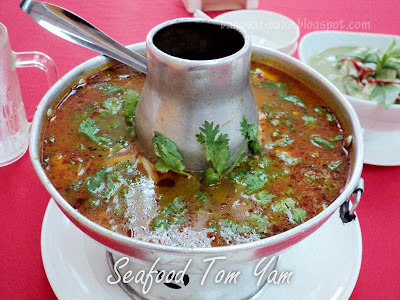 The seafood tom yam (RM15 – small) comprised fish fillets, prawns, squid slices and mushrooms. 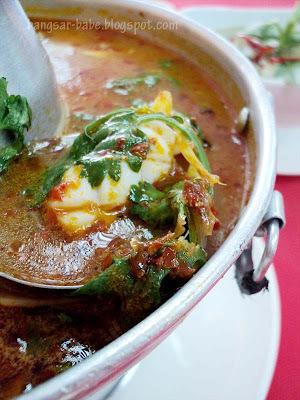 It packed a wallop of flavours, because I asked for “spicy.” If you can’t take your tom yam too spicy, you can always ask them to tone it down. This came in a metal pot with a burner to keep the soup hot. I liked the green curry pork (RM 15). Granted it wasn’t really authentic, the curry was sweetish, creamy from the coconut milk and fragrant the addition of basil leaves. It also had an ideal balance of thickness and spiciness for me, while the pork slices were thickly cut and tender. Thai style fried kangkung (RM8) was nothing to shout about. It tasted like any other fried kangkung you can find at “tai chow” places. 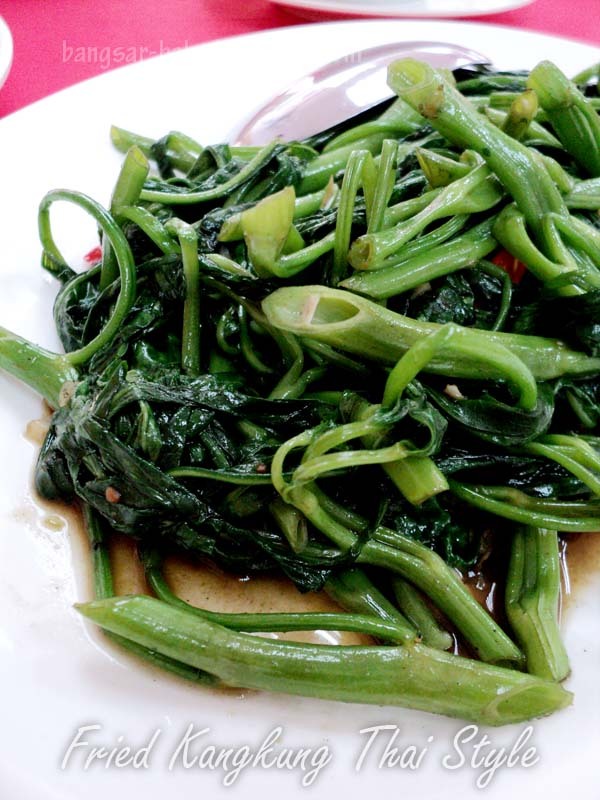 I would have preferred the kangkung to be cut shorter. It was too long and difficult to eat (without dirtying your face). All in, lunch was satisfying. 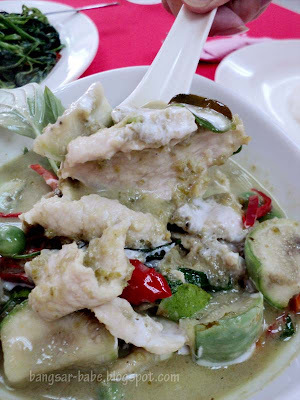 While they claim to serve authentic Thai food, I think the food has been modified to suit our local taste bud, especially the Thai green curry. That said, I would still come here again, because of the reasonable prices and generous portions. Verdict: Pretty decent Thai food, reasonable prices. It’s best to come in a larger group. That way, you get to try more things. heyy i've been here before! i've seen this outlet before but didn't really go and try. Reading this on a friday afternoon really makes me craving for some Thai food now. 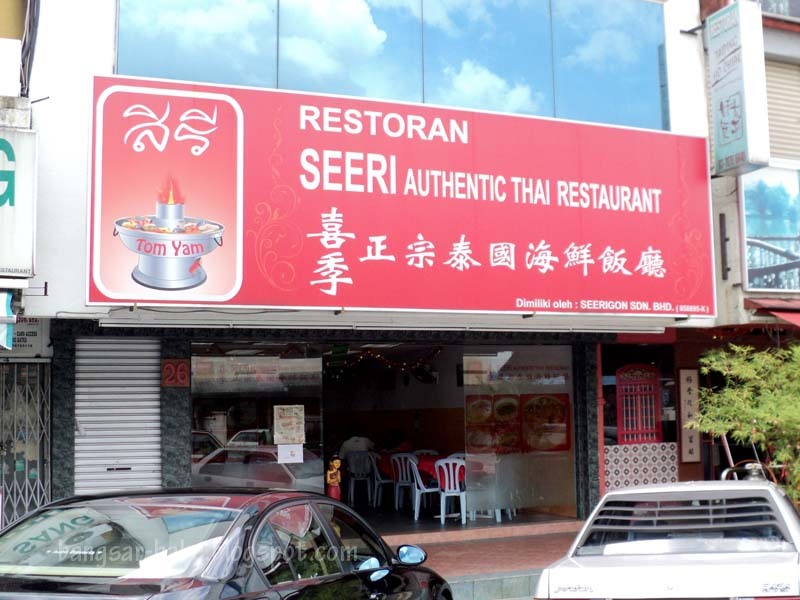 Hmm will pass if it's just another watered down local version of Thai…where's all the authentic Thai food gone??!! iamthewitch – LOL…maybe I should start doing that too! Leonard – Time to go get some…hehehe. Jamie – Thanks for the tip. Will do next round! 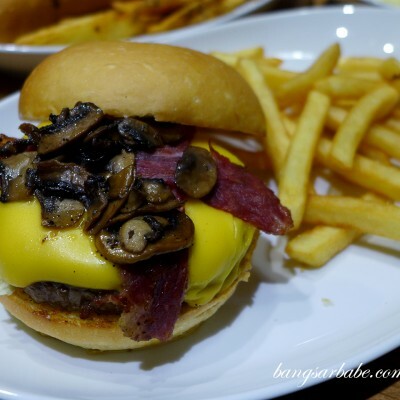 KY – Ya…it was yums!